We didn’t coin the term “crape murder,” but we’ve certainly seen the damage it’s wrought on otherwise flourishing landscapes. 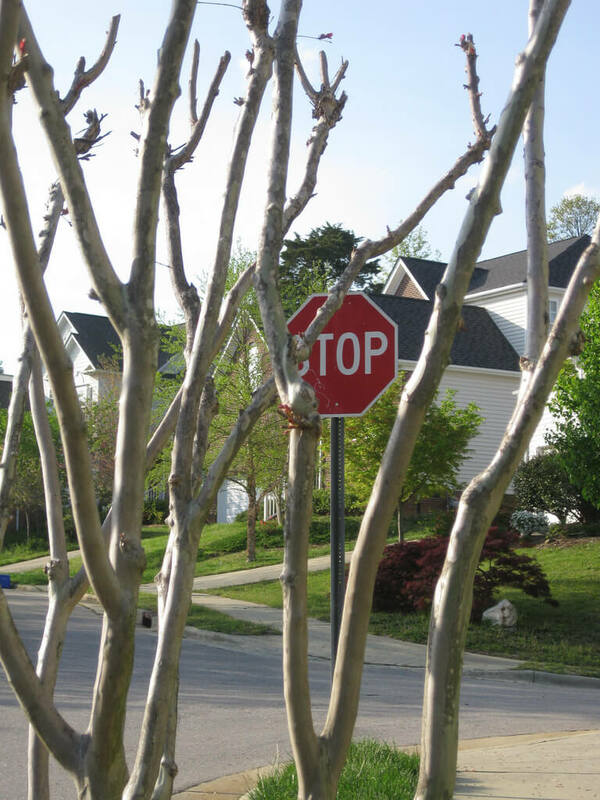 Are you ready to prune your crape myrtle trees? Don’t hack off their heads. Preserve their canopy with this step-by-step crape myrtle pruning guide. Get the right gear. You’ll want sharp hand pruners to take care of twigs and sprigs, loppers to remove mid-sized branches, and a pruning saw or pole pruners for bigger branches. Choose the right time. Want to encourage growth? Prune crape myrtles in late winter, just before the growing season starts. February and early March are a great time to prune crape myrtles. Start small. Remove suckers climbing the base of your tree. Move onto small branches growing on the bottom of the trunk. Remove these branches on the bottom 4 feet or so of the trunk. Cut judiciously. You can always remove more, but you can’t glue chopped branches back on the tree. Train your tree. Remove any crossed branches, high branches growing inward into the canopy, dead or diseased branches, and branches that grow at odds with the overall shape of the tree. By shaping your tree each year, you can train it to grow in prettier, healthier ways over time. Be detail-oriented. When cutting larger branches, make sure you cut flush at the joint. If you’re removing crossed branches, choose to remove the smaller, less developed branch. 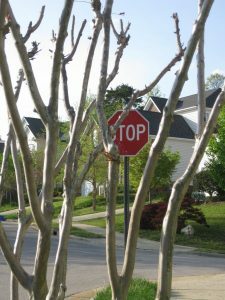 Need help caring for crape myrtles? Call Mr. Tree and Lawn Service for landscape maintenance in Gainesville.